Last night Lisa was looking through the flyers we received. 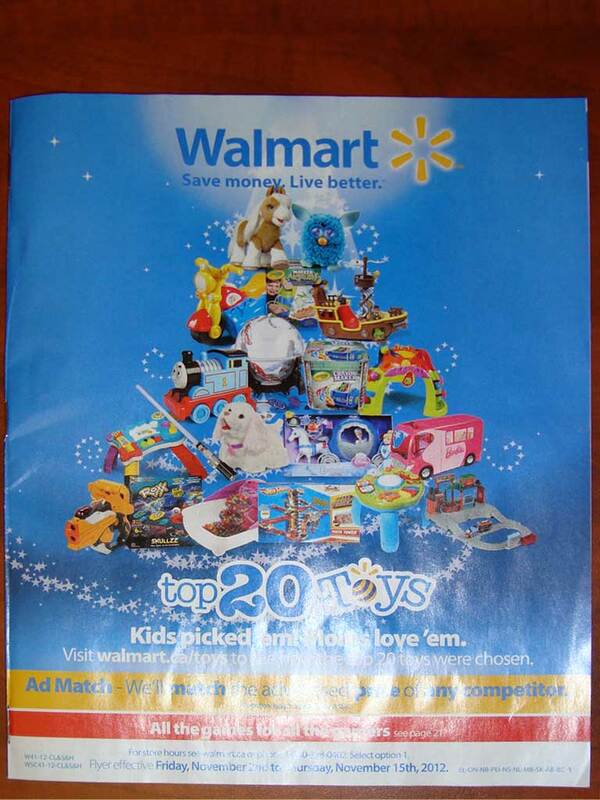 Walmart usually has a grocery flyer and a regular flyer. This week they also had a special one with toys in it. 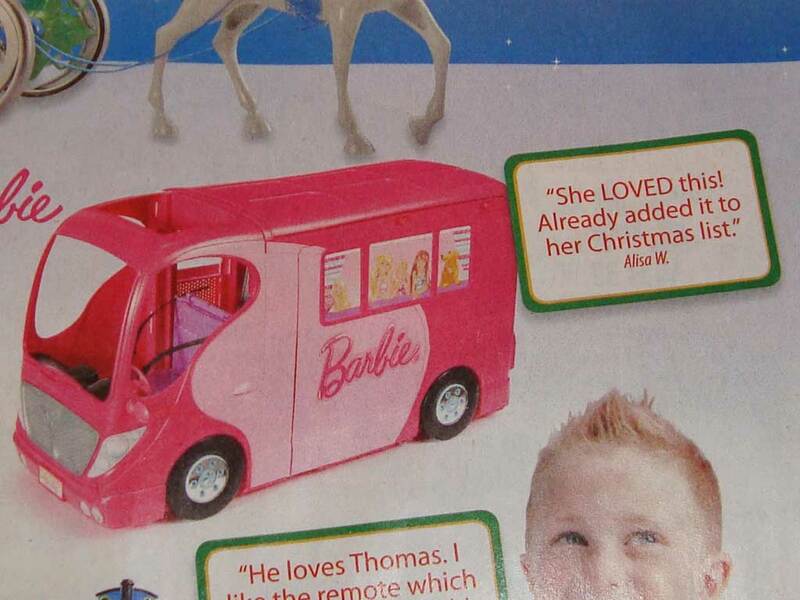 Lisa opened the cover and on page 3 was a comment from someone about the Barbie Camper. It was by Alisa W. Lisa asked me if it was Alisa, and we guessed that it was, but weren’t sure. 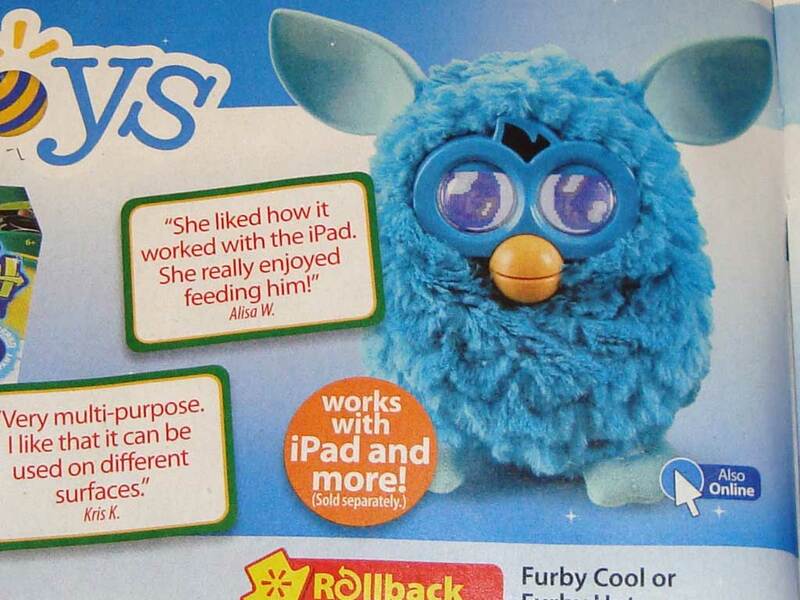 Lisa flipped the page, and on page 4 was a review by that same Alisa W about a Furby Cool or Furby Hot. I checked with the real Alisa W this morning, and it is indeed her. That’s both funny and cool at the same time! Poppy won a contest so we spent a Saturday at the airport convention centre toy testing. It was a really fun day. I had totally forgot about it til Graham texted me this morning! Cool! Darn. We recycled that flier before we even looked in it. Maybe Poppy will grow up to be a toy tester like the characters in “Big”. Go Poppy!